It seems a lot has changed for Sabrina Spellman since we last left her. At the conclusion of season one of The Chilling Adventures of Sabrina, Sabrina had officially signed her life away in the Book of the Beast, leaving her future chillingly uncertain. Her relationship with Harvey Kinkle was rocky and she was making the transition from Baxter High to the Academy of Unseen Arts. Now that season two has officially landed on Netflix, certain questions are being answered, while new curiosities are taking shape. For now, let’s take a look at some of the changes that have occurred now that Sabrina is getting deeper into the Path of Night. 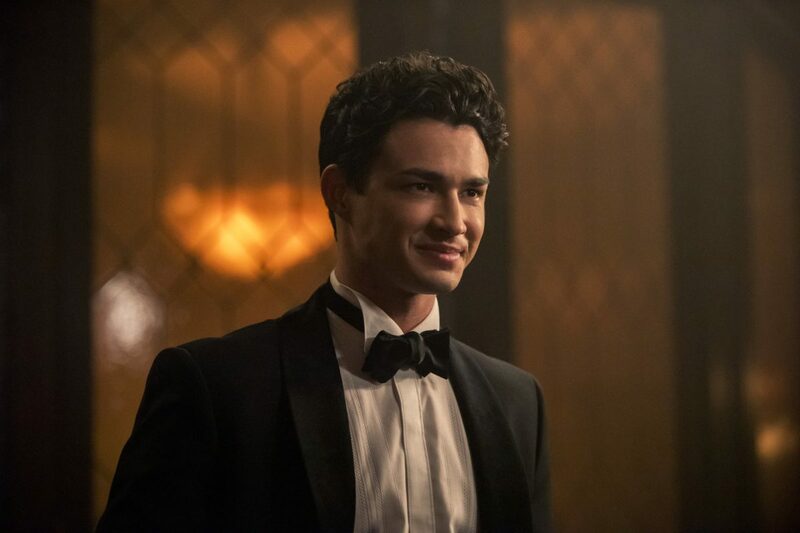 With Sabrina’s relationship with Harvey appearing to take a turn for the worse, Sabrina has wasted no time in finding a new beau. The mysteriously dark Nicholas Scratch has taken up the helm, while Harvey has moved on with Sabrina’s BFF Rosalind. Meanwhile, both Spellman aunts are entangled in their own saucy love affairs. Zelda’s peculiar relationship with Father Blackwood continues down a dark path and Hilda discovers a secret about her bookishly ghoulish crush. With a nod to the iconic Sabrina the Teenage Witch moment, where Sabrina spins her wardrobe changing magic, CAOS Sabrina’s personal style has been updated. She twirls her way around a few options, before settling on a sleek black turtle neck sweater and a killer plaid skirt. Matched with her new platinum blonde locks and dark red/purple lipstick, Sabrina’s new look is undoubtedly fierce, fiery and an accurate representation of her new personality. Miss Wardwell, or I suppose Lilith, if you will, has now seized herself the top spot at Baxter High, ruling the teen masses as Principal. 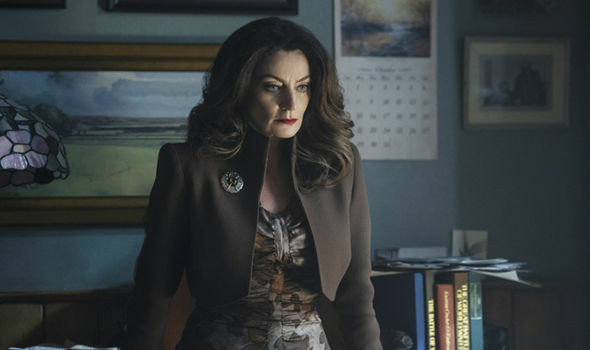 As was revealed last season, Wardwell is in fact the mistress of darkness herself, Madam Satan. Her mission of getting Sabrina to sign her name in the Book of the Beast was a success but with the Dark Lords severe lack of gratitude, we are beginning to see cracks in Madam Satan’s hard demeanour and may see a new, more human side to her. What’s a show about a teenage witch, without a little witchcraft? Spellman is settling in to her new witch school but not without making her mark. Defying gender norms, Sabrina spends the first episode running for Top Boy, a position traditionally held by a male. Meanwhile, demons are summoned, cauldrons are bubbling, and blood is spilling in Greendale. CAOS is a notoriously dark and twisted show and, though having its lighter moments, it remains highly satanic. Season two is not slowing down on the demonic side and is even upping the ante on all things that go bump in the night. 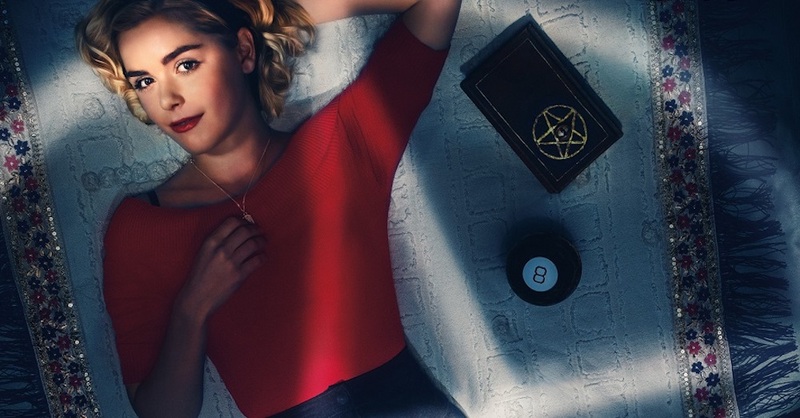 You can catch every episode of The Chilling Adventures of Sabrina now on Netflix.